The kids are out of school and the inevitable summer “brain drain” is well underway. To help counteract the loss of learning, there are lots of summer reading programs to help your kids stay sharp and even progress in their reading skills. After all, practice makes perfect! If your local library is anything like ours, they have a fantastic summer reading program. In our program, you log what you read, make 4 library visits, and get a coupon book full of handy things such as free food, zoo admission, and even basketball and baseball games! You are also entered to win great prizes and the local branches have all sorts of activities to do for free over the summer. Check with your local library to see what they are doing this summer. Barnes and Noble Summer Reading Program: kids register at the store and get a reading journal, read 8 books and log them in your journal, then return to your store and get a free book. You can also download the journal as a PDF in English or Spanish. Scholastic’s summer reading program let’s you log your minutes reading and enter to win sweepstakes prizes. If you reach the weekly reading goal you win digital prizes. You can also help set the world record for reading and use your zip code to see who is participating near you or even enter other countries to see who is participating around the world. After delving into this one a bit, I would say it is geared more towards middle school ages and up. It is a bit complicated for elementary ages. You have to sign up and then create a profile. If you want to enter the sweepstakes they require an email address for the child. If you live on the east coast, TD Bank is offering money in your pocket for summer reading. Read 10 books and they will put $10 towards your Young Saver’s account. PBS and iVillage have joined forces for a Summer Reading Community Challenge. Sign up with an email address and you get daily activities to build reading skills, advice from a reading coach, book suggestions for all ages, tips from other parents, and a chance to win daily prizes. A reader pointed out one I missed (Thanks Momo): Soar With Reading. It is a joint venture between PBSKids and JetBlue. 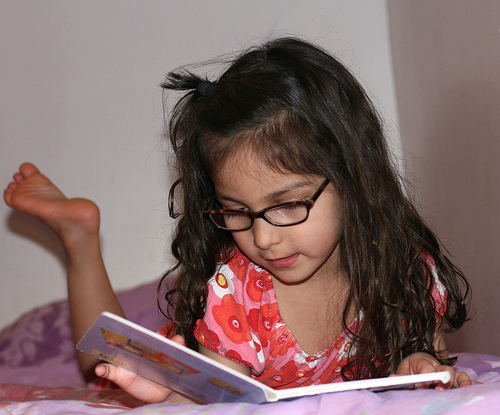 There are great tips on helping your child be a successful reader and a good list of reading materials for various ages. You can check their event schedule and see if a favorite character or author might be coming to your town, thought currently they are only listing events in large metropolises (or is it metropoli?). You can also nominate your local library to win $10K and be entered into a trip to the Bahamas with JetBlue. If there are any reading programs you know about that I have missed let me know and I can add them in! Happy reading! ← Happy Birthday, Bruce Campbell! We have a Half Priced Books nearby and always participate in their summer program. This year, kids fill out a log for how long they read, then get a $5 coupon to spend in the store. They can also enter a drawing for the top reader in their age group.